Trust Master Plumbing for all of your Gaithersburg hot water heater repair needs! Do you need hot water heater repairs for your home in Gaithersburg? Just in case you do, you can depend on Master Plumbing to help you make these repairs possible. Gaithersburg homeowners should be able to expect the best services and have hot water whenever they want. Even though the temperatures are looking up, the winter isn’t over just yet. If your hot water heater is in need of repairs, you will know right away. Without a properly working hot water heater for your Gaithersburg home, you won’t be able to take a warm shower or hot bath. Both of these will not only help you fight the chilly winter weather but help you relax too. Get ready in the morning without an unpleasant blast of icy water, or come home and unwind with some candles and a good book to help you calm down after a long day. On top of all that, you wouldn’t be able to do your laundry or run your dishwasher. 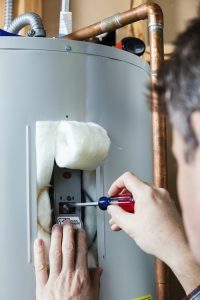 A hot water heater is necessary to the smooth operation of your Gaithersburg household, and if you need hot water heater repairs, it’s critical that you have them done as quickly as possible. A hot water heater can live for over a decade, so you should keep it running that entire time. Even though the professionals at Master Plumbing can come in whenever you need, sometimes, some basic repairs will keep it running until our experts can reach your Gaithersburg home. So, what are some initial steps you can take?